There is an amazing amount of freedom that a cordless lawn mower provides. Cutting grass has never been easier and a quality cordless lawn mower will make maintaining your lawn a pleasure not a chore. 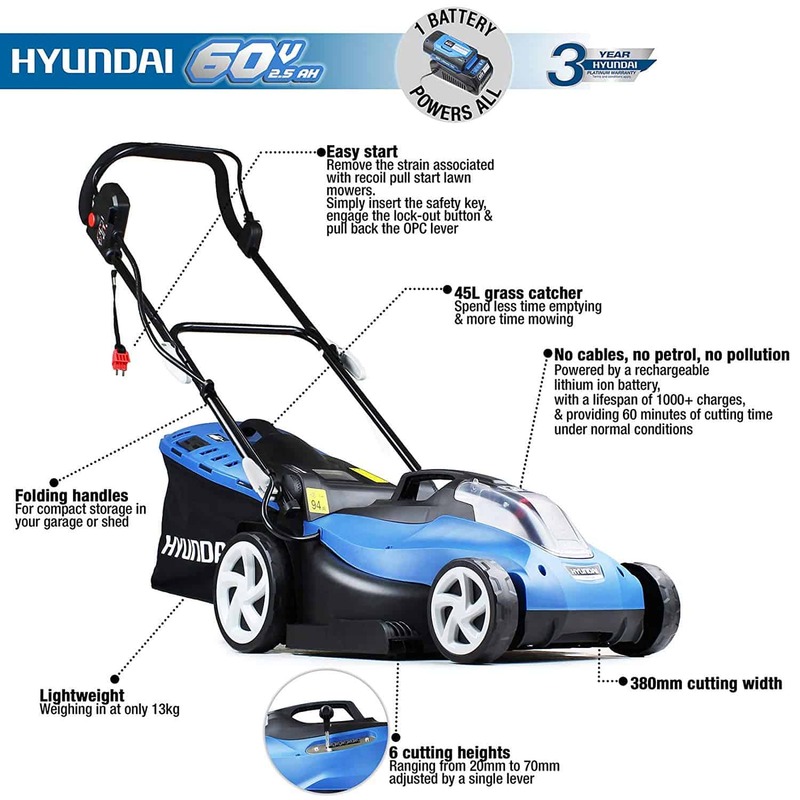 One of the better options you can go for is the Hyundai Cordless Battery Powered Lawn Mower 38cm – HYM60LI380. Let me tell you why this is a great choice. 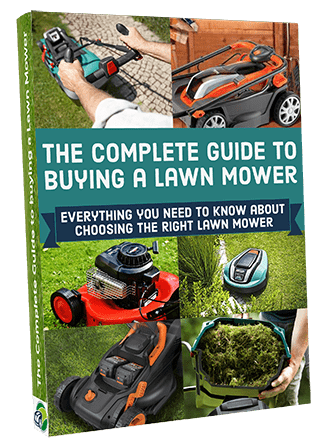 As we have discussed, there are pros and cons to a cordless lawn mower but provided your lawn area is not too large it makes a great, lightweight and easy to use machine. 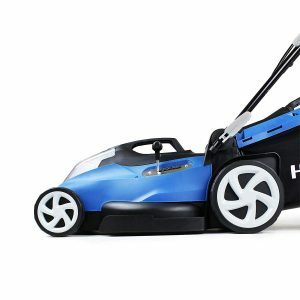 I will take you through what I have found out on one of the leading models available, the Hyundai Cordless Battery Powered Lawn Mower 38cm. Hyundai is known for affordable products that perform well and have good durability. That is pretty much what you want from a lawn mower. 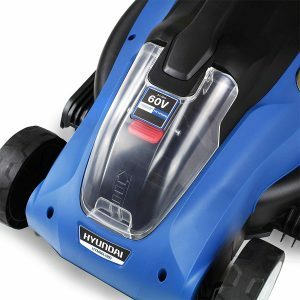 At the end of this review you will know if the Hyundai Cordless Battery Powered Lawn Mower 38cm HYM60LI380 is the cordless mower for and your lawn. 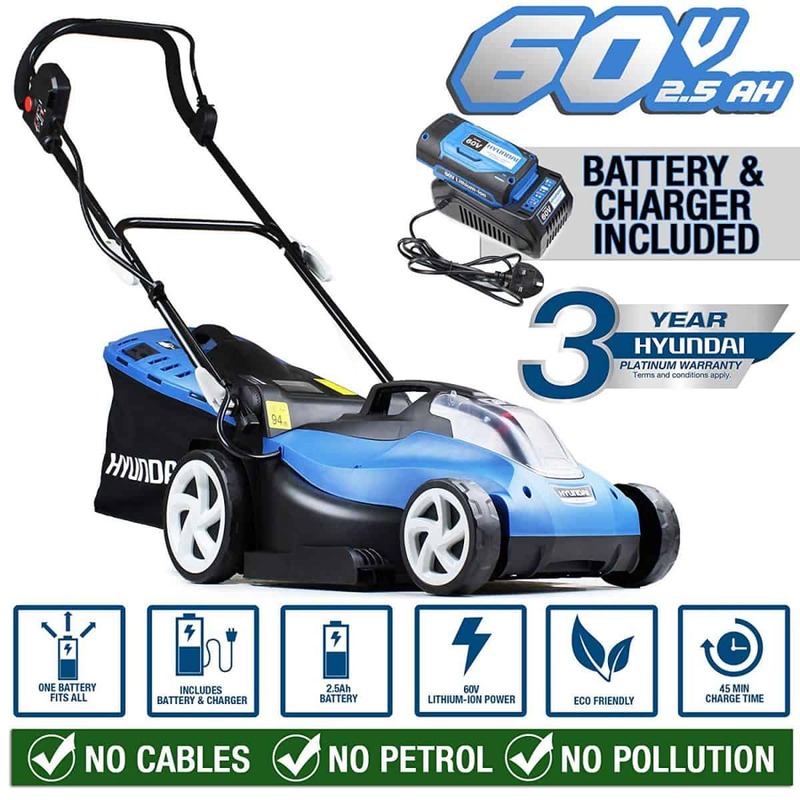 The Hyundai Cordless Battery Powered Lawn Mower 38cm is a reasonably priced cordless lawn mower and will save you all the hassles of cords and eliminate the hassle of adding petrol and oil. They are also ultra-low maintenance. The operation is extremely easy and anyone can use them with ease. The mobility and agility you get from the lightweight design and lack of a cord makes them great for gardens with lots of curves and bends yet they perform exceptionally well on larger straight sections as well. I will take you through each feature of the Hyundai mower and give you the lowdown on what this model can offer. Unfortunately, you cannot always get the best of both worlds so we will also look at the potential disadvantages to this model. This will allow you to make an informed decision. 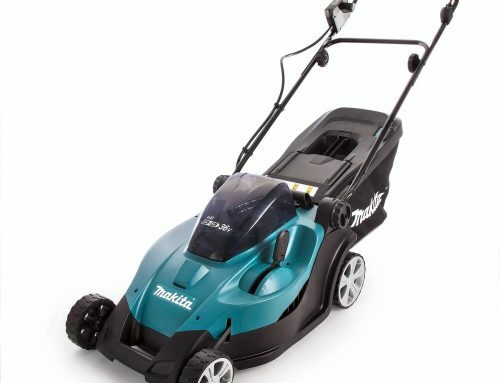 This is obviously a cordless lawn mower and it is powered by a quality 2.6Ah LG Lithium-Ion battery. The power rating is a decent 60V. The batteries charge in a mere 45 minutes and have a lifespan of roughly 1000 charges. That is a good lifespan and will keep you going for a good few years. Unless your grass is very long or wet, you can expect about one hour of operation from a single charge. This should be ideal for most small to medium lawns. 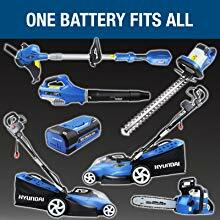 The battery is included in the kit and is interchangeable with other Hyundai lawn mowers as well as other Hyundai 60LI products such as chainsaws, pole pruners, leaf blowers, and hedge trimmers. This is a huge advantage if you are building up a range of cordless garden maintenance tools. 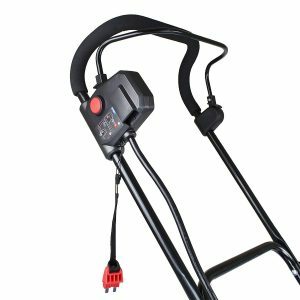 Depending on how often you use the machine, you will have to replace the battery eventually but they are easy to find and reasonably priced. This Hyundai model is equipped with an 800-watt brushless motor. This means that it is extremely durable and energy efficient. It has a long lifespan and is truly hassle-free. You can expect good power and a long run time. Another great benefit it that they are one of the quieter lawn mowers you will find. That means less irritation to neighbours or household members. Brushless motors are highly maintenance-free so that means even less hassle. The design makes them effective and extremely efficient. 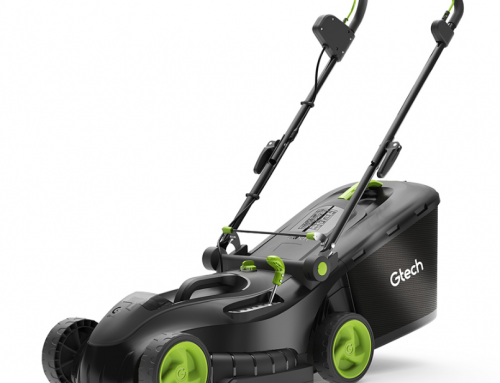 Thanks to the powerful Lithium Ion batteries, you can expect power similar to that of a petrol lawn mower. 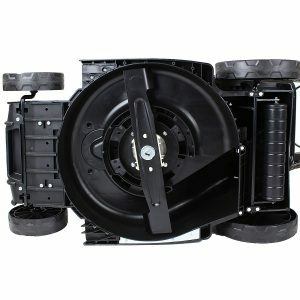 This mower can be assembled in around 10 min and is relatively simple with no tools required. The instruction manual is very good. We have seen some shockingly poor manuals with poorly drawn diagrams only. This manual is however very well written and illustrated. The manual for this Hyundai can be found latter in this review. 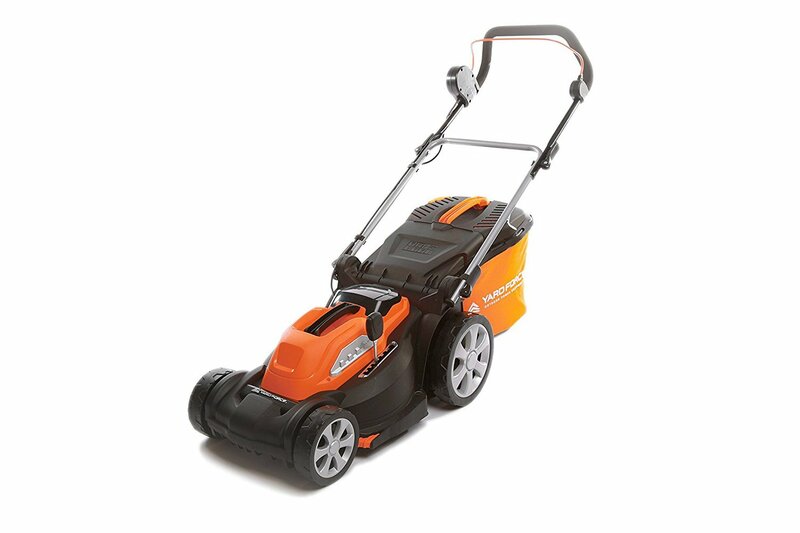 This lawn mower has a fair sized deck with a generous 38cm cutting width. This gives you great speed and efficiency when cutting. You will need fewer passes to cut the patch of lawn. Because it is light and nimble you are not sacrificing on manoeuvrability. I would say Hyundai has found a great balance of power, cutting diameter and weight. They did this without compromising on other features and benefits. 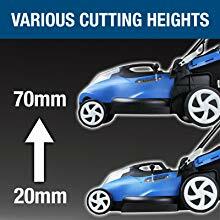 Both the 38cm and the 42cm mowers are identical in terms of looks, battery power, the only difference is the size of the deck and the 42cm mower is slightly heaver. Is having the extra 4cm a better option? That depends on you lawn. If you have flat square lawn with no beds or smaller strips of lawn then yes, perhaps the additional 4cm will assist in getting the lawn cut quicker. If however, you have a more complicated lawn with narrow strips and steep inclines then perhaps the 38cm is better suited. Remember the grass box is 45 litres on both these models therefore, filling more quickly on the larger 42cm mower and taking up a little more space when storing away. To be honest, both mowers are going to get the job done well whichever you choose. Both use the same blade technology and make use of the benefits of having metal blades. Height adjustment is all important as you will need to change this from time to time. The season, the weather, the type of grass and your own specific requirements will determine the height you want to cut at. If you have let the grass grow a bit you do not want to cut it back too severely in one go. Start on a higher setting first and then work down on a second cut. Fortunately, the Hyundai Cordless HYM60LI380 gives you a range of options (6 settings) and you can adjust the height from 20mm to 70mm. This is super simple to do with a single easy to operate lever. Compared to many other mowers, the height adjustment lever could not be easier. What makes the Hyundai Cordless HYM60LI380 that bit better than some of its competitors such as the Greenworks 40V Cordless Lawn Mower, is the centrally mounted height adjustment lever. Having the lever mounted central to the mower make the adjustment so much easier and smooth compared to mowers that have them mounted at the front or back of the mower. Good job Hyundai! 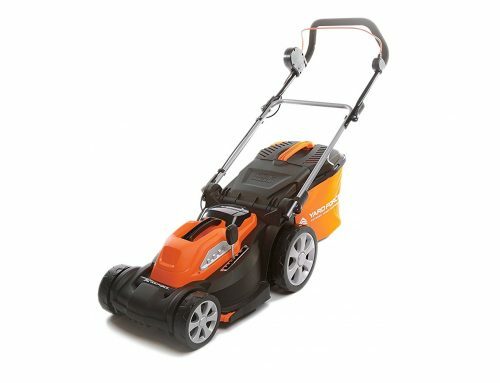 The powerful 38cm blades give you a good cutting diameter that will allow you to zip through the lawn with speed and ease. It is the ideal size for most average gardens and will save you time and effort and give you more output from your battery charge. The cutting diameter of the Hyundai Cordless Mower seems to be just right for small to medium sized lawns. Getting the balance right between deck size and practicalities for storage and more complex lawns, such as small strips of lawn, the 38cm deck size seems perfect. 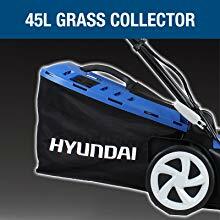 As mentioned earlier Hyundai do have a 4cm larger deck size option (42cm) and even a large 51cm version (more powerful battery) of this mower, so choose the size that best suits your circumstances and your lawn size and type. 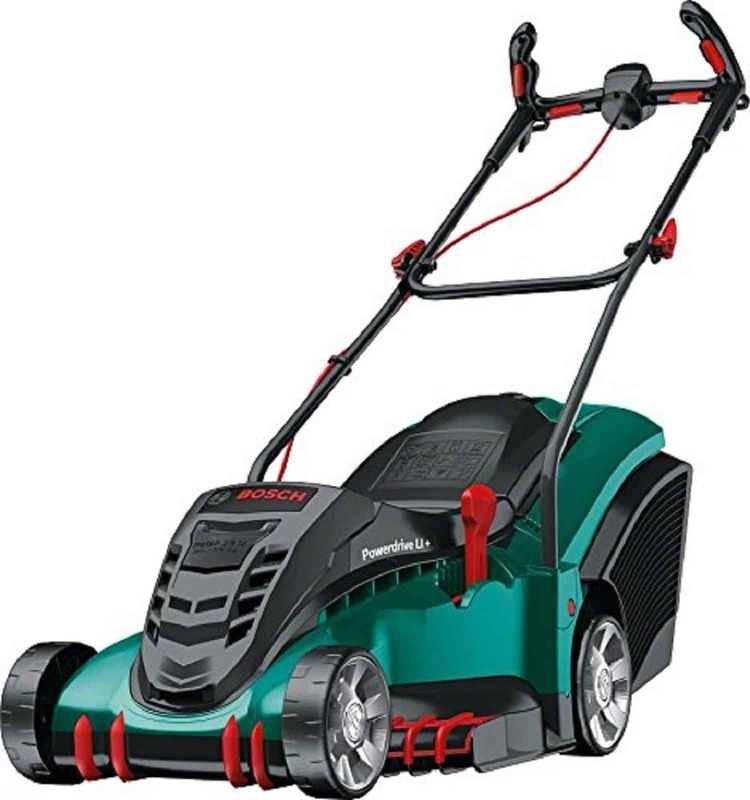 When you need a mower that’s light in weight and going to get in the smaller areas of your lawn, but not too small for your lawn size, this may well be the may be the best option. Another great benefit of this Hyundai model is that is has a rear roller. If you want that professional and amazing striped effect on your lawn, the rear roller will do this for you. It also gives you added stability when you cut up to the edges or take tight corners. It needs no additional effort and will leave your lawn looking like something out of a gardening magazine. It is not for everyone and does not suit all gardens but it is great to know it is there if you need it. The grass box has a good 45-litre capacity so that will save you time as you cut the lawn. Another great feature is the box is very easy to take off to empty and replace once you are ready. It is all about convenience and time-saving. There is no fill level indicator on the grass box as you get with the Aerotek Cordless Lawnmower. The grass box has a solid plastic top and very good quality woven soft sides and bottom. The grass box does come assembled, you just need to fold the metal bar down and clip in the soft lower part of the grass box. This allows you to store the grass box flat when not in use, this is a great space saver. So the advantages of this type of grass box is the minimal storage space, easy to assemble. The downside is the cloth sides and bottom are more prone to damage from tearing etc. however, the quality material on this Hyundai seems very hard wearing when compared to other makes. This is one of the more practical mowers you will ever use. It starts easy with the push of a button and there is no cord pulling required. Once it is set up it is good to go and will just keep going. The handles fold back easily for storage. It is light and compact therefore very easy to store when not in use. 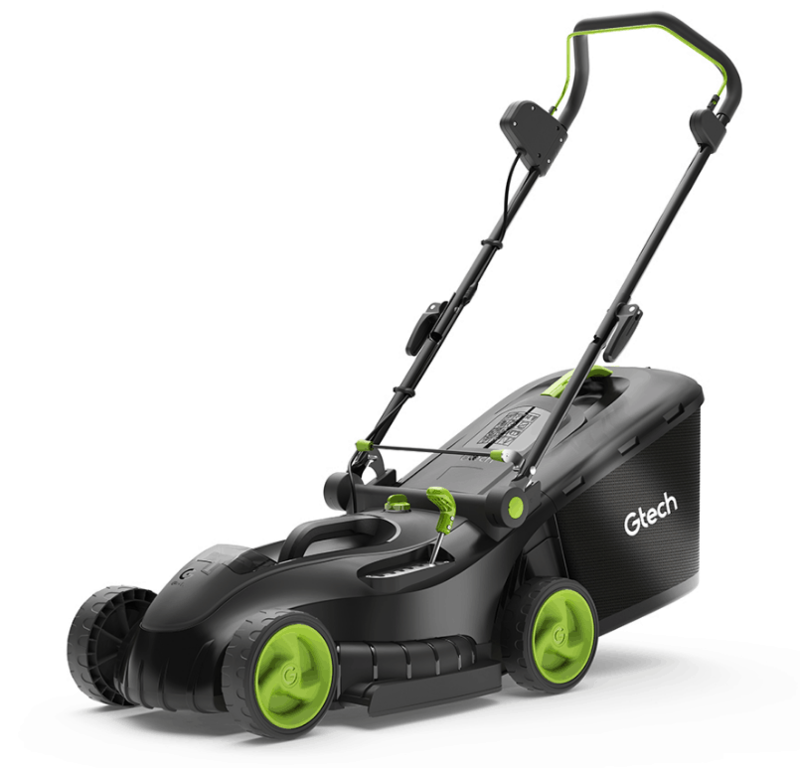 The other practicalities of this lawn mower is that it is very quiet and really easy to use. Starting and operating is easy and it is light enough for most people to use comfortably. It is low maintenance and inexpressive to operate. It is also more environmentally friendly than many other options. 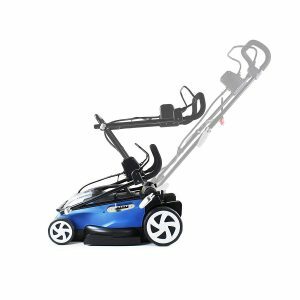 The Hyundai Cordless Battery Powered Lawn Mower 38cm has a relativity small footprint.The white clips on the side of the handles are quick release and allows for the top handle to be folded down. This could be folded inside or out, care is needed not to pinch the wire (which runs from the start button to the motor). Also, there are two levers at the base of the mower, that allow the whole handle frame to be removed for even smaller storage. This is a nice touch from Hyundai as most other mowers (including the Bosch 32 LI) are secured by screws and require tools to remove. Safety is something Hyundai take seriously and they have ensured the cordless HYM60LI380 is up to the highest safety standards. In order to start the machine, you need to use the safety key which straight away makes it safe from accidental starting. Then there is a lock-out button that you need to engage and apply the Operator Presence control lever. All of this takes a few seconds but will ensure that no one can accidentally start the lawn mower and run the risk of injury. Another great feature is that as soon as you take pressure off the Operator Presence control lever the motor stops immediately. This simple electric starting system takes the strain out of pull cord or recoil starters which is a challenge for many people. This feature is not available on this model which is pretty standard for lawn mowers in this category. If you wish, you can always add the grass clippings to the compost heap to make a great nutrient-rich compost. As I said earlier, there are many advantages to this lawn mower but there are a few downsides. Let me explain both so you know what you are getting and if this is the best option for you. This lawn mower has a lot going for it and is a good investment. The few downsides it has are pretty much the same as any other cordless option. The ease of use and freedom a quality cordless lawn mower offers more than make up for the minor inconveniences. 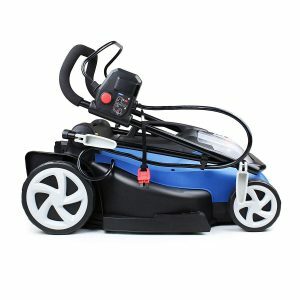 It is a well-built quality lawn mower that is really easy to use. It will give you years of hassle-free operation. The fact that is backed by a reputable company with good customer service and a great 3-year warranty makes it even better. The generous cutting width of 38cm and the 45-litre grass box will save you time and effort. 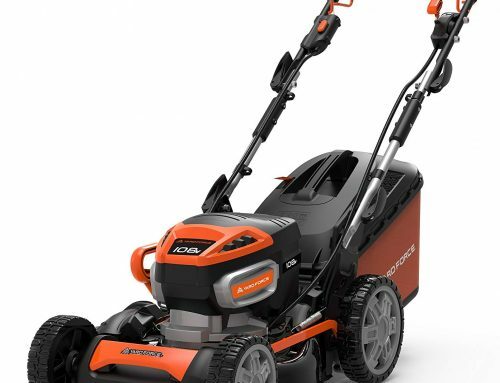 It is one of the less noisy lawn mowers you will find so you will not have irritable neighbours. 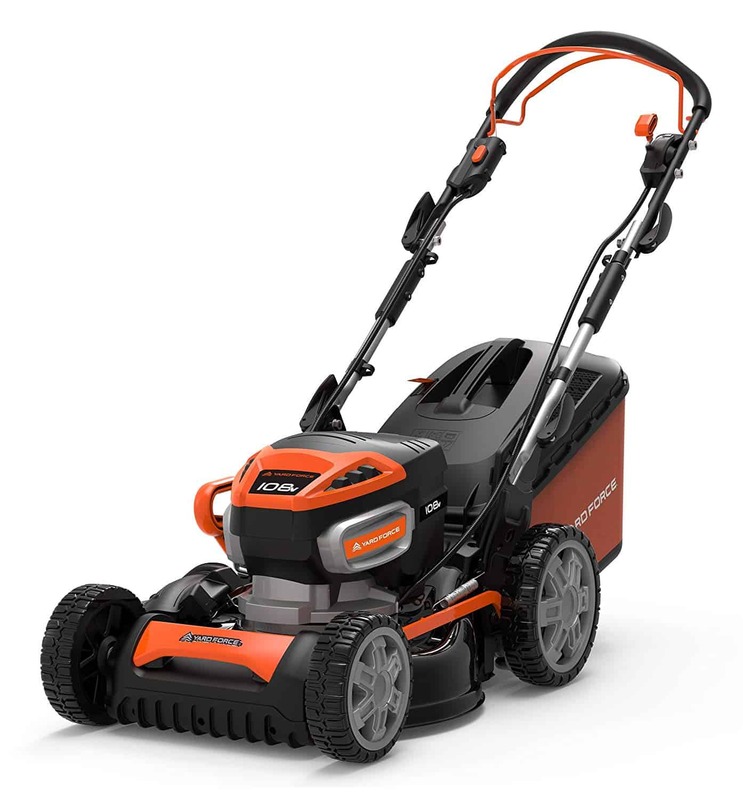 The quality 60V 2.6Ah LG Lithium-Ion battery will give you more than enough run time for the average lawn. Height adjustment could not be easier making even more convenient. 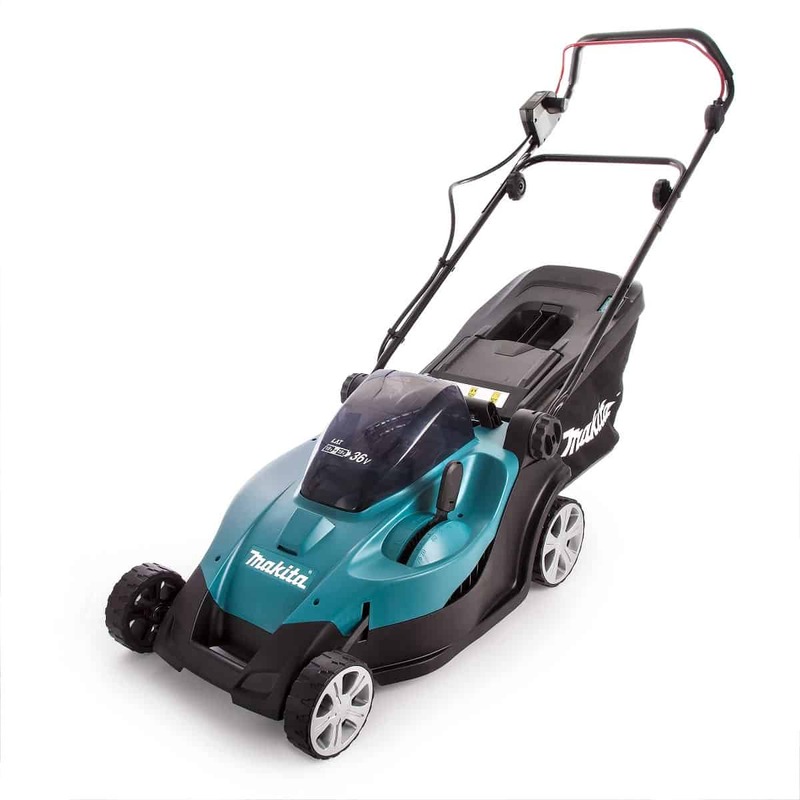 If you look after the lawn mower it will last you many years so even if it is a slightly more expensive option, it will give you many years of easy garden maintenance. 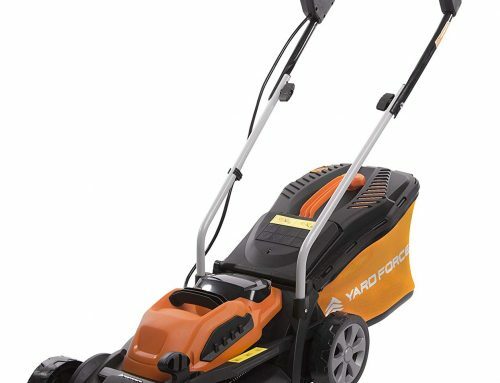 Unless you have a very large lawn, you cannot go wrong with the Hyundai cordless HYM60LI380. If you have a small to medium garden, this is a great option. 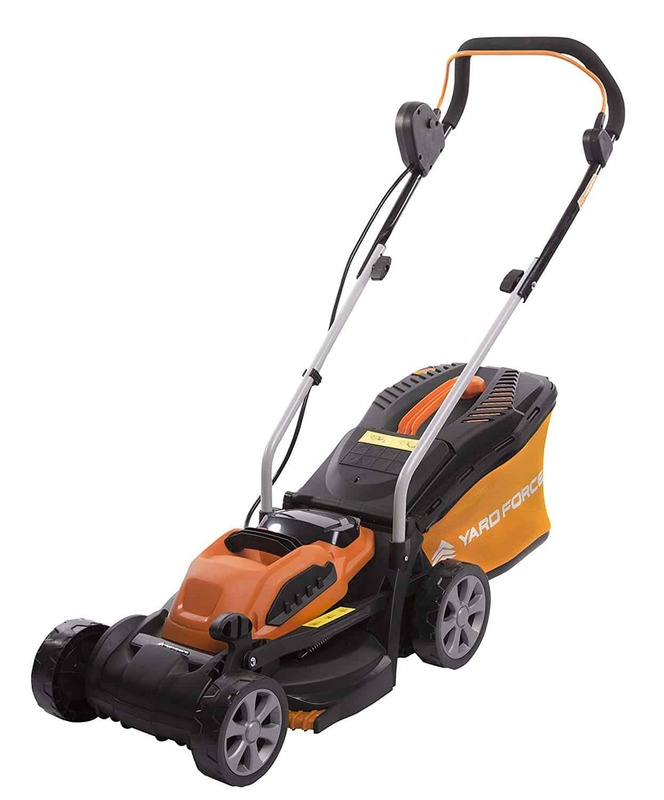 It is a powerful and reliable lawn mower that has all the features and comforts you will need. It will tackle anything but a really large garden with ease. The warranty will give you peace of mind and Hyundai have good after sales service. The design and build are of a high quality so you can expect low maintenance and hassle-free operation. The general feedback from those that have bought and used this model is overwhelmingly positive which is a great endorsement. There are a few factors to consider first, whether or not you purchase this model really depends on your garden and situation. Their garden is about 600 m² in size or less. Their garden does not have very narrow strips of lawn.